You’re in the process of buying a house and have written a contract to purchase. Once the terms are agreed upon, and the document's signed by you and the seller, the contract is considered ratified, meaning legally binding. Most real estate contracts contain contingency clauses that allow them to be cancelled if certain terms aren't met. The buyer is obligated by the contract to apply for financing within a specified period of time. The type of loan, an acceptable interest-rate spread and other financing terms are included in the “Loans” and “Loan Terms” clauses of the purchase contract. 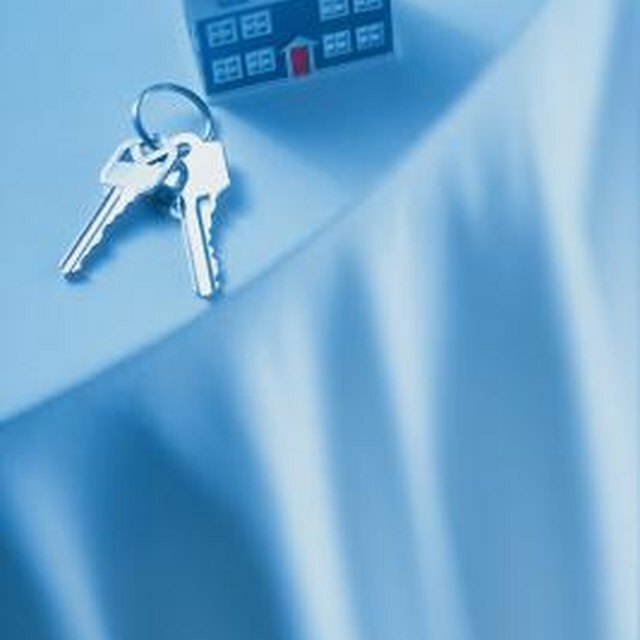 If the buyer fails to apply for a loan, or “act in good faith” to obtain a loan, he risks losing his deposit. If he fails to be approved for a loan after supplying the necessary information to the lender, the contract can be terminated, and the buyer’s deposit will be returned. When a buyer is getting a mortgage, the lender sends an appraiser to the property to evaluate its worth. Calculations are made, and if the property is valued for the amount of the loan, or above, the contract’s appraisal contingency is considered to be met. However, if the lender’s appraiser values the property for less than the loan amount requested, several scenarios take place; the buyer must come up with more cash to be added to the down payment, reducing the amount to be financed, or the seller can lower the price of the house. If either fails to take place, the contract can be terminated under the appraisal contingency, and the buyer’s deposit will be returned. Every buyer should have a licensed home inspector examine a property thoroughly. The inspector’s report indicates major and minor faults found within the home, and often, renegotiations take place regarding who pays for remediation of these faults. A buyer on an “as is” property will have difficulty backing out of a purchase agreement under this contingency, as he’s agreed to buy the house in its present condition. In this case, the inspection is for the buyer's own information. However, if a buyer of a non-“as is” property considers the remediation to be extensive, and the seller refuses to make any repairs, the contract to purchase can be terminated, and the buyer’s deposit will be returned. If termites or wood-destroying organisms are found to inhabit the property and the seller and buyer do not agree on how this is remediated, the buyer can terminate the contract with his deposit returned. Other hazardous material contingencies and disclosures are also outlined in the contract, including evidence of mold, radon gas, lead-based paint, natural hazards, local disclosures and other conditions that may be found in the locality of the property. All are reasons for a contract to be legally terminated. Realtor.com: What Happens if I Back Out of a Contract?